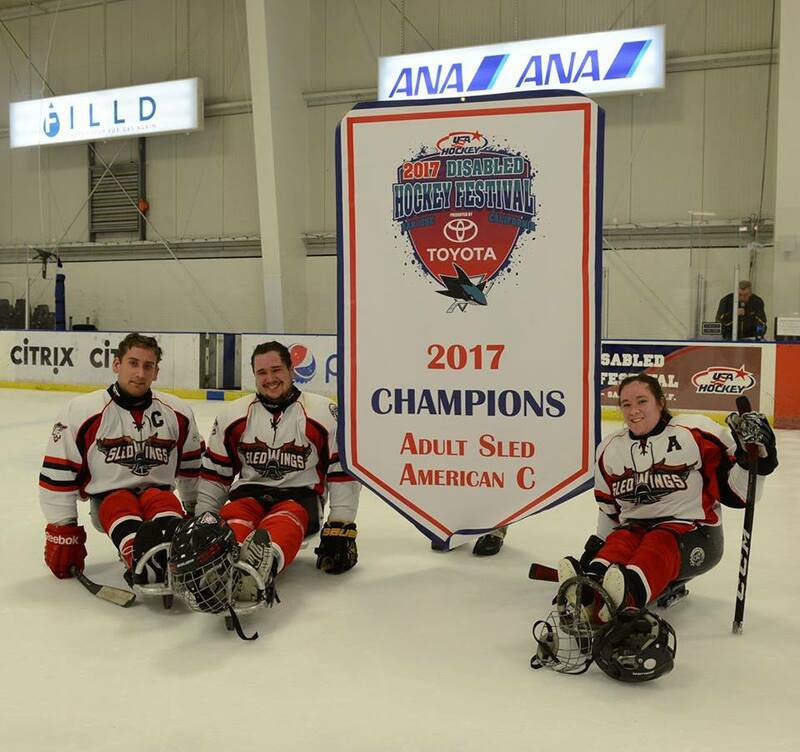 Editor’s Note: Sled hockey (also known as sledge hockey) is almost identical to ice hockey aside from players being seated in bladed sleds. 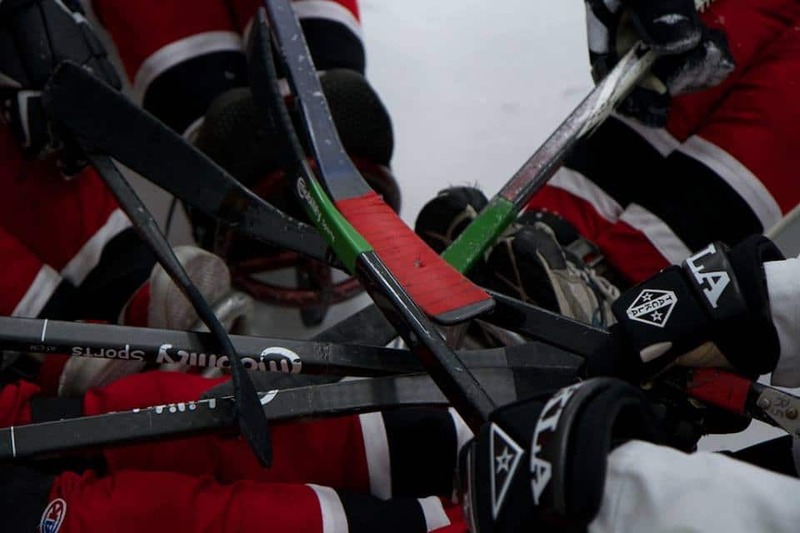 Using two sticks with integrated metal teeth, players push and pull themselves across the ice. Wheel:Life caught up with Steve Kozlowski, the Grand Rapids Sled Wings junior coach, who grew up playing hockey in Western Michigan. When he was offered the opportunity to coach nearly a decade ago, he charged right in and has officially been known as Coach Koz ever since. 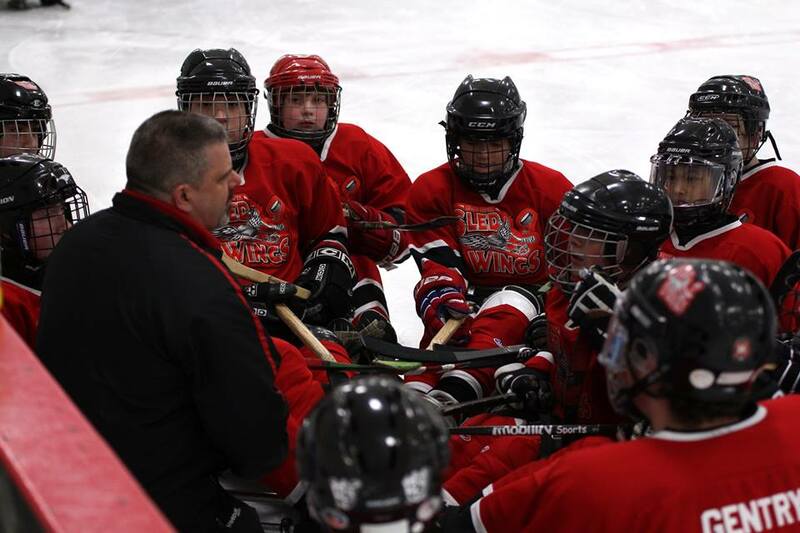 I coach our junior sled hockey team, which was established in 2001 by the Grand Rapids Griffins Youth Foundation. We started the adult team in 2008. Currently, our competitive athletes range in age from 8 to 58. We have several coaches that are on ice for practices with both teams. We are unfortunately Michigan’s one and only junior team, but we’re working on that. We typically start taking players on the competitive team at about eight years old. Last year we started our Future Sled Wings program for kids under eight years old. We’re using it as a learn-to-skate and play program where they can get used to the sleds before actually coming to a practice or competing. Our junior team has an age range from 8 to 18, so it can be intimidating for the younger kids to come out on the ice right away and practice with the older kids. Our teams are all coed. 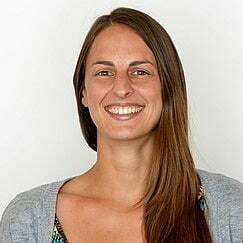 One of our superstars on the adult team is Susie Kluting. She’s played since the beginning of the program in 2001 and has been selected several times to play with the USA Women’s Sled Hockey team. The junior team’s competition schedule consists of tournaments throughout the region, and we host one in Grand Rapids each March. Last year, 16 teams from around the Midwest came to our tournament. USA Hockey keeps track of teams throughout the year and seeds them for the national tournament. We’ve made it to the final game in the Youth A Division (the top level) for the past five years. Unfortunately, we lost four out of five of those games, but we were the national champs in 2015! This year, we lost 3-1 in the finals. We’ve played the same team, the Bennett Blazers out of Maryland, each of the last five years in the finals. We don’t see them during the regular season, but our goal every year is to beat them at Nationals! We’re managed and sponsored by Mary Free Bed Rehabilitation Hospital in Grand Rapids. They have a great adaptive sports department with a variety of sports teams. We are also supported by the Griffins Youth Foundation, which is part of the Grand Rapids Griffins, an American Hockey League team. In addition to that, I run a 501(c)(3) called Rinks to Links that fundraisers for the team. We hold an annual golf outing; this will be our 10th year. In the previous nine years, we’ve made $115,000 that all went toward helping advance sled hockey in the state of Michigan. Currently there aren’t any other teams in the state, so it has all gone to the Sled Wings. However, if Rinks to Links can support other cities that want to get teams up and skating, we’d be more than happy to do that. Building other programs around the state will give us more competition and better the sport overall. It’s just the right thing to do. 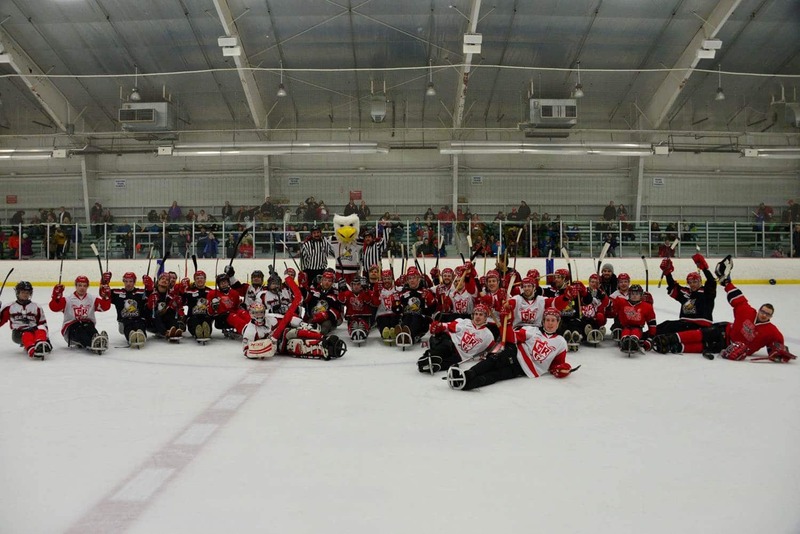 Michigan is such a great hockey state, and we want as many people as possible to experience sled hockey. 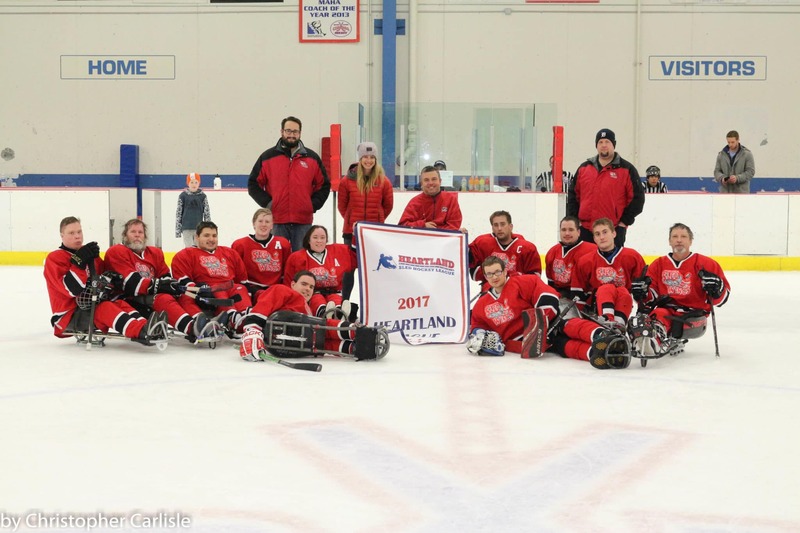 Around 15 of our athletes have received grants for sleds from the Challenged Athletes Foundation, which is great because a sled can cost up to $800. For players that don’t have their own equipment, our program supplies sleds, sticks, and other necessary items. The Griffins Youth Foundation, Mary Free Bed, and Rinks to Links help finance the purchase of equipment. The Rinks to Links funds also allowed us to buy some smaller sleds so we could get the Future Sled Wings program started. Editor’s Note: Rinks to Links is looking for sponsors and teams for their annual golf outing being held on August 6, 2017, in Big Rapids, Michigan. More information can be found on the Rinks to Links website or Facebook page. Donations are also accepted through the website. This year, we’re doing our second annual sled hockey camp. USA Hockey’s elite camp is by invitation only, so we’ll be one of only two camps in the entire country that are open to anybody. We’ll have players of all ages and abilities. We anticipate about 70 athletes this year from all across the Midwest. Editor’s Note: This year’s summer camp takes place from June 17-18 at Patterson Ice Center in Grand Rapids, Michigan. All ages and abilities are welcome. Sign up here! One of our goals as a team is to travel to different locations to create awareness of the sport. 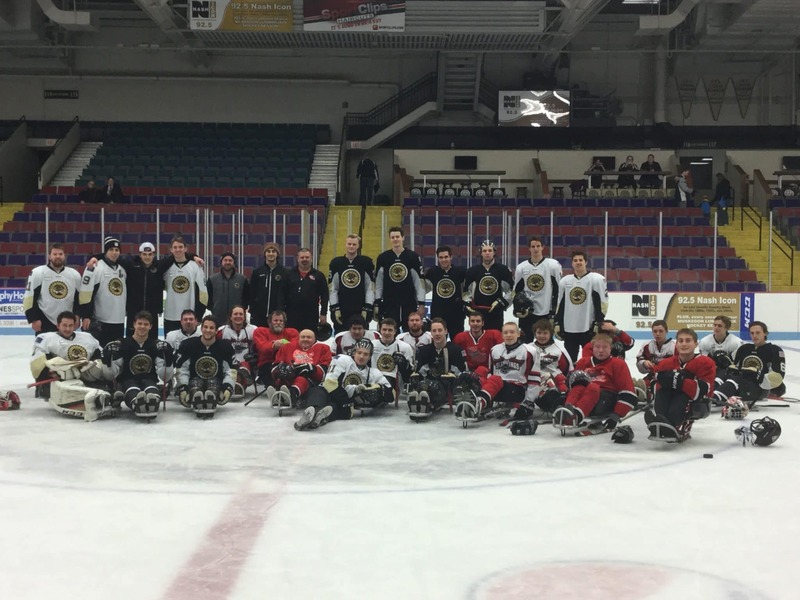 Last December, our junior Sled Wings team went up to Marquette to put on the first ever sled hockey exhibition in the Upper Peninsula of Michigan. It went fantastically and helped leapfrog the program they’re building up there. 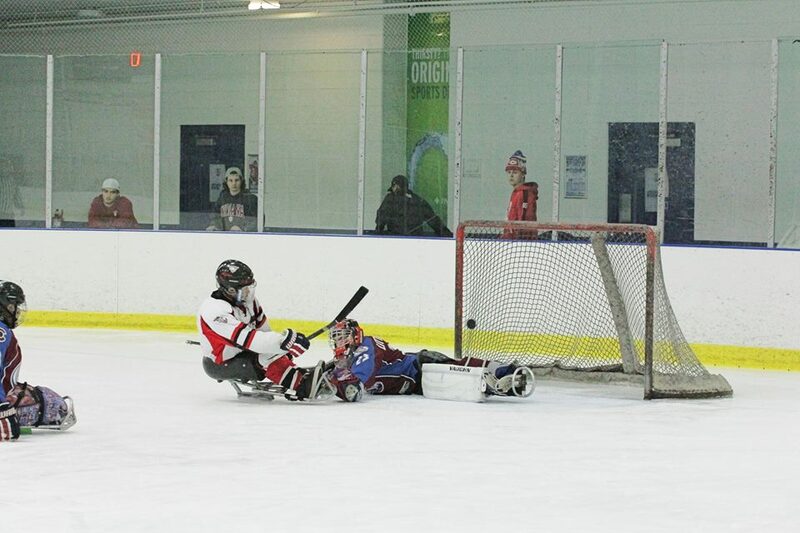 We also play other local able-bodied juniors teams and the Grand Rapids Griffins each year. We got out on the ice with Michigan State University’s hockey team last year, too. We always put our opponents on sleds, so they can experience what it feels like. 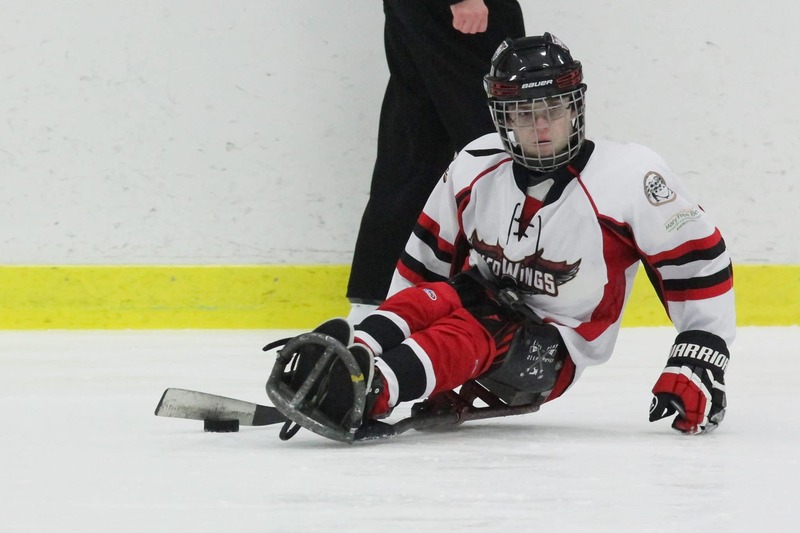 Editor’s Note: For more on sled hockey in Michigan’s Upper Peninsula, check out Wheel:Life’s piece on Allen Beauchamp. If you’re looking to get a team going, an exhibition is a great way to start. USA Hockey has a lending program where they’ll send sleds to an arena for you to use for an exhibition. When we went up to Marquette, we had them send us 20 sleds so that the local athletes could try them out. We encourage everybody to get out there, whether disabled or not, so they get the feeling of skating on a sled and being on the ice on a different level. That really helps spread the word in the community. If Bob the plumber isn’t disabled but he tries out a sled, the next time he talks to somebody he knows with a disability, he may encourage that person to give it a shot. That’s the whole idea — to spread the word. Finding funding to start a team is always an issue. Getting local organizations involved is definitely a key to success, as is reaching out to other programs. If somebody contacts me, I will try to help in any way I can. Sled hockey is really a family and a fellowship, so anybody from anywhere is going to try to help. I’ve played hockey my whole life. Coaching is a way for me to give back to the community and the sport. The first time I skated with the team, I fell in love with sled hockey. Being a part of getting people out on the ice who may have never had the opportunity to play before is so rewarding. I plan on coaching for a while. No matter how you feel, or how nervous or apprehensive you are, just try it — and try it more than once. When an athlete with a disability tries a sport for the first time, it’s usually very difficult, because they’re not used to it. If we can get them back out a second or third time, then they start having more success, and that is the key to them gaining confidence. They can do it. You can do it. You just have to apply yourself and not be afraid to try or ask for help. Everybody out there went through the same thing at one point. It’s a family and a fellowship, and everybody wants you to succeed. Coloplast develops products and services to make life easier for people with deeply personal and private medical conditions. These conditions are often associated with trauma and taboo. The more intimate the condition, the greater the requirement to come closer to customers, understand their world and develop solutions that are sensitive to their special needs. We call this Intimate Healthcare. Our business includes Ostomy Care, Continence Care, Wound & Skin Care and, Urology Care. We operate globally and our organization is more than 10,000 people strong. Learn more at www.coloplast.com. The new SpeediCath® Flex Coudé is here! The unique water-drop shaped flexible tip allows for gentle guidance through curves and bends. 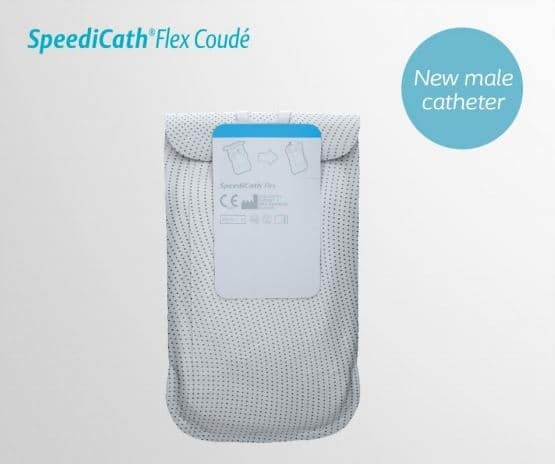 Visit our website to request your free sample and discover how easy it can be to cath with SpeediCath® Flex Coudé.